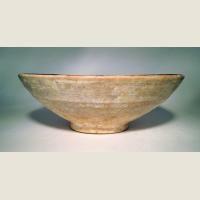 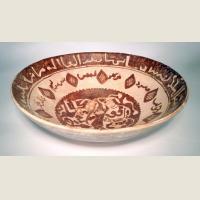 Decorated Nishapur bowl. 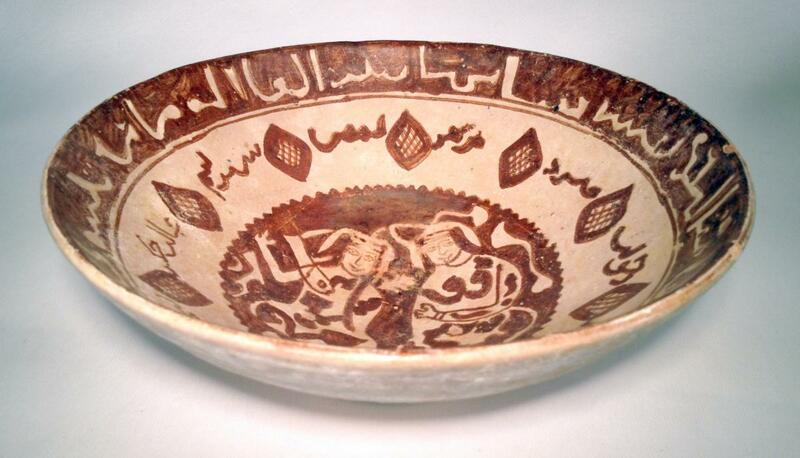 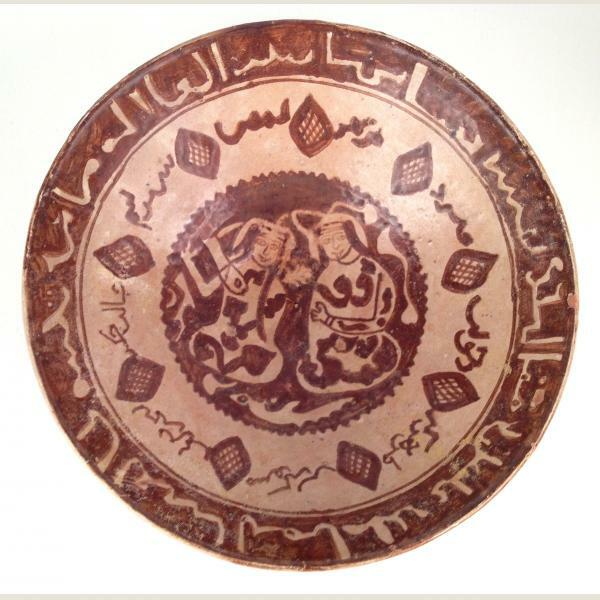 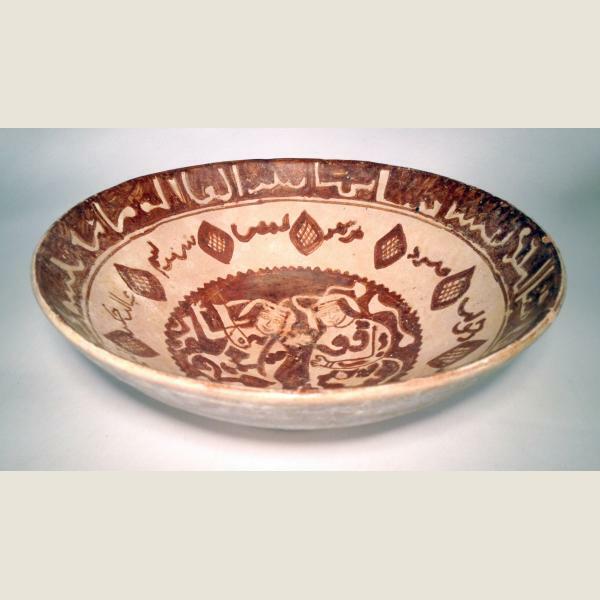 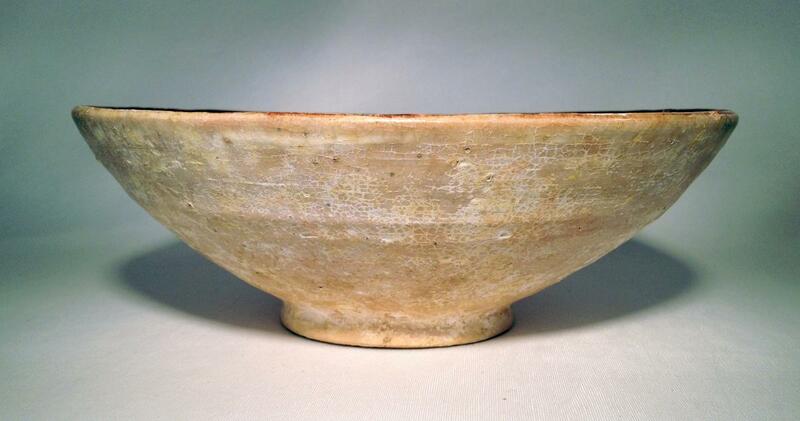 An excellent condition example of an ancient Islamic bowl with two cheerful seated figures gesturing in the center. 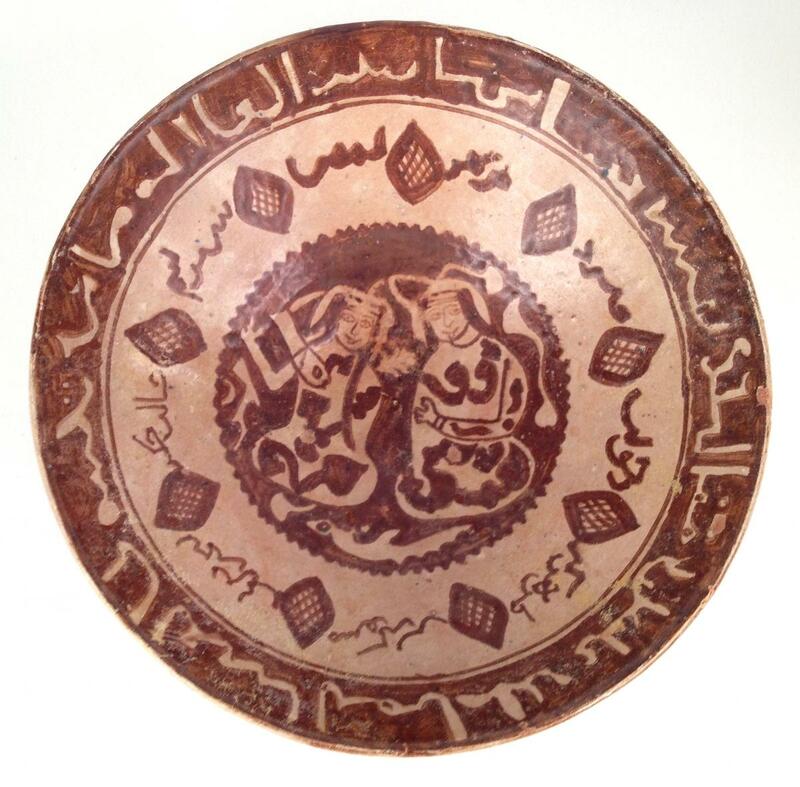 Kufic script in a one inch wide band around the rim.